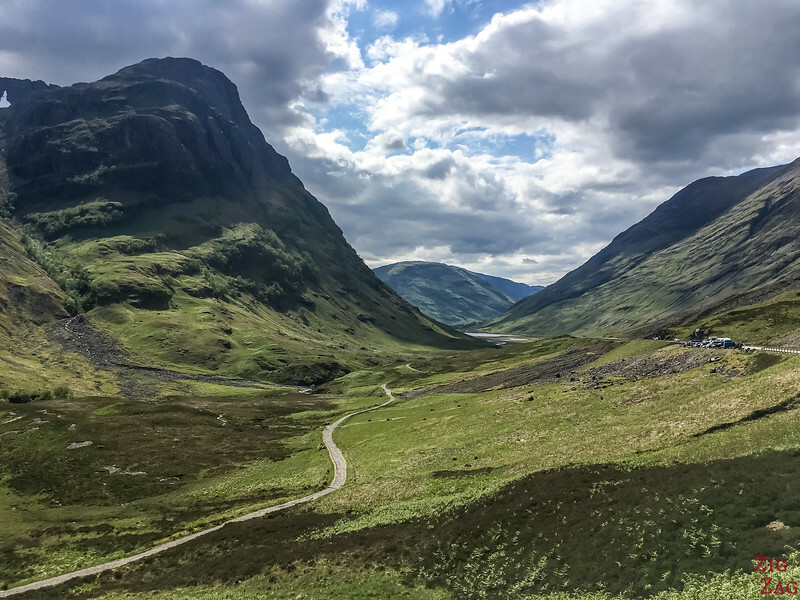 Let's drive road A82 through the Glencoe Valley Scotland, one of the most scenic road trips in the country! 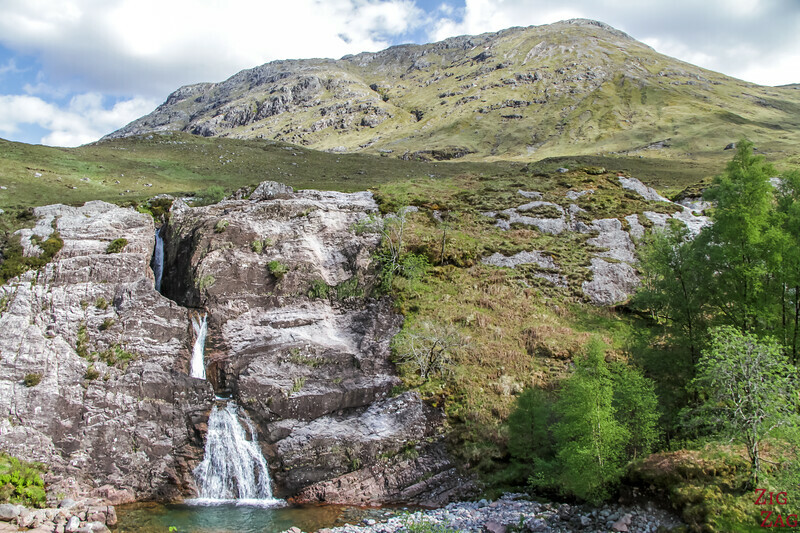 The magical Glen Coe area offers summits, valley, waterfalls and lochs.... Definitively my kind of scenery! 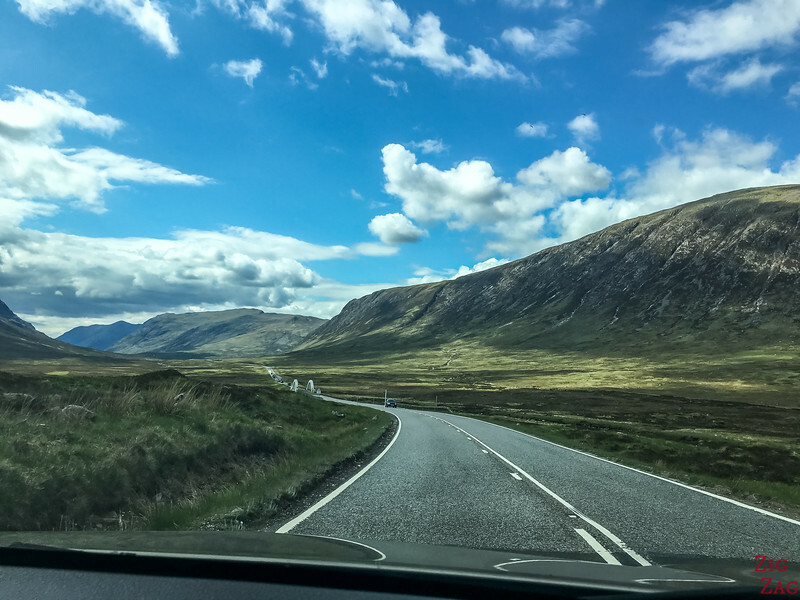 Discover the best stops in photos and video as well as advice to complete your drive in Glencoe Scotland. 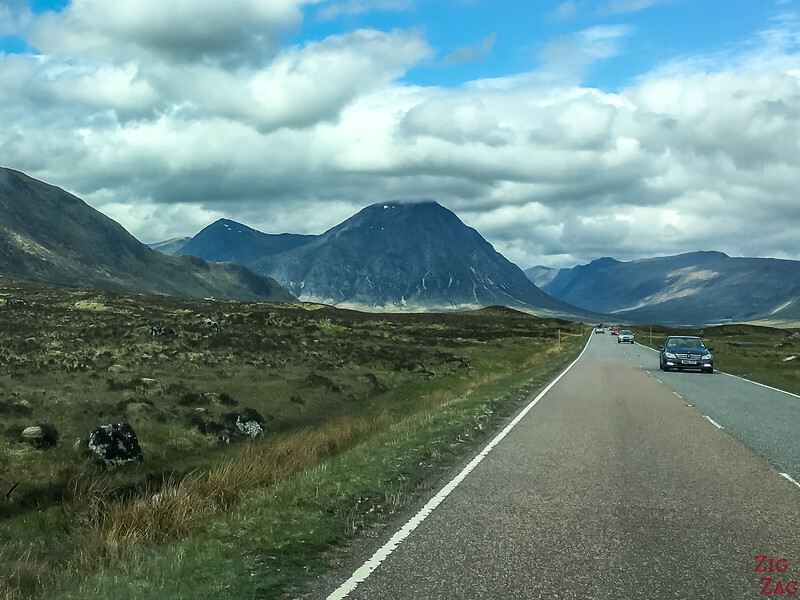 Let's start with a short video to give you an idea of what it looks like to drive on A82 through Glen Coe Scotland. 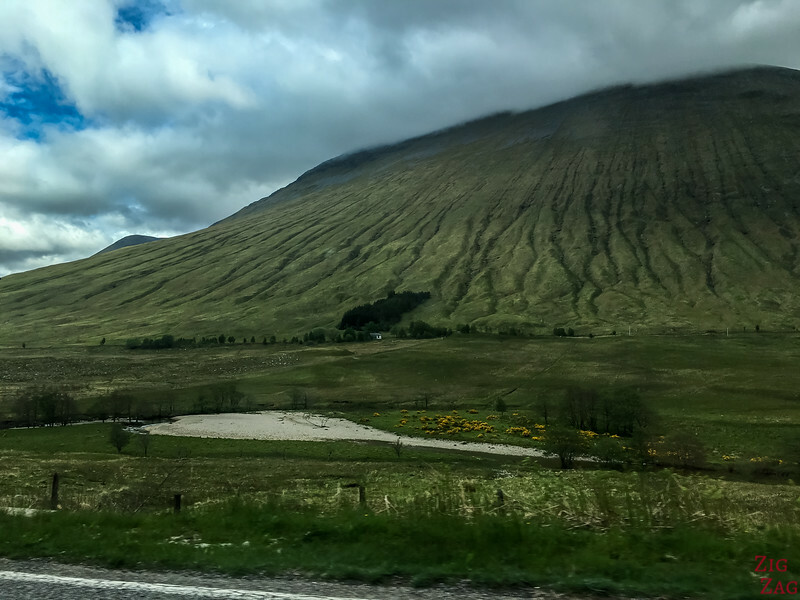 Do you understand why it made it to my list of top Destinations in Scotland? 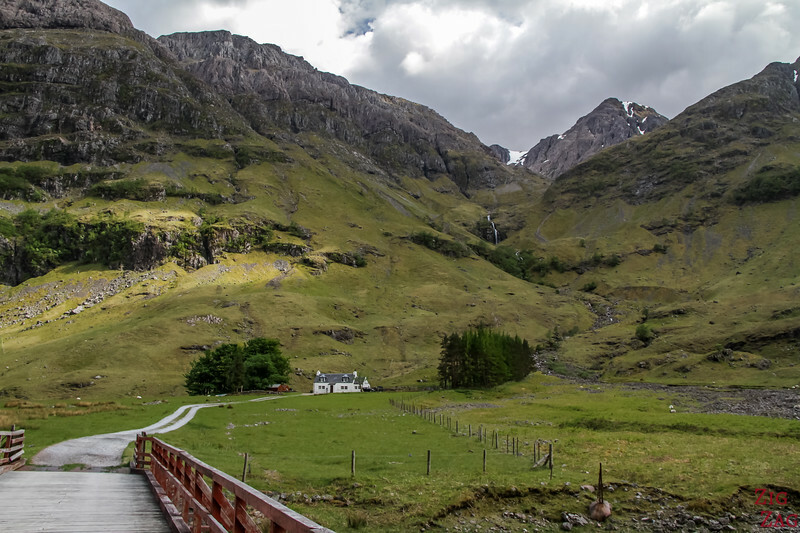 Glen Coe is a protected area around the town of Glencoe. 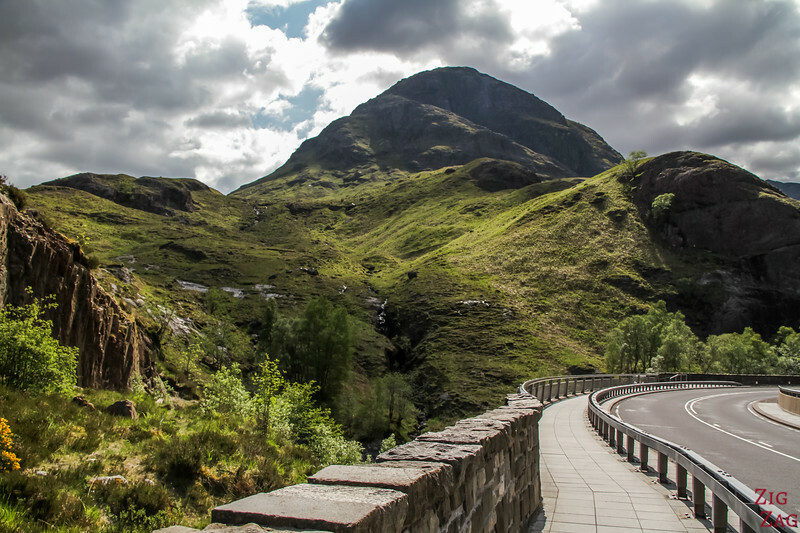 The Road A82 enables you to cross it via the Glencoe Valley. 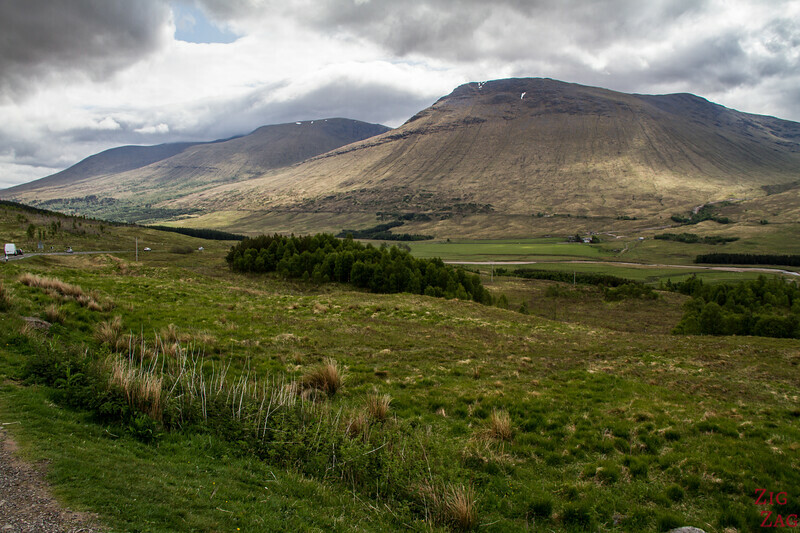 The Munros and peaks that surround the road were formed by volcanic activity and shaped by glaciers. 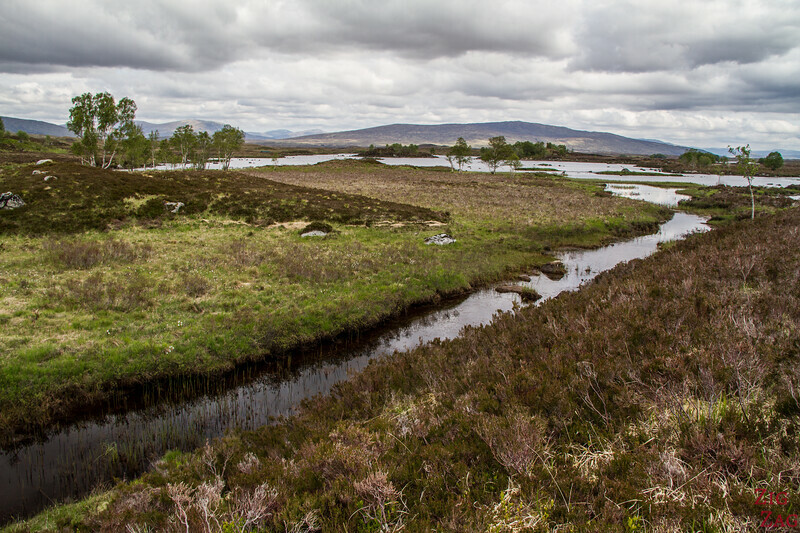 It is one of those grand landscapes, a must-see when traveling in Scotland. 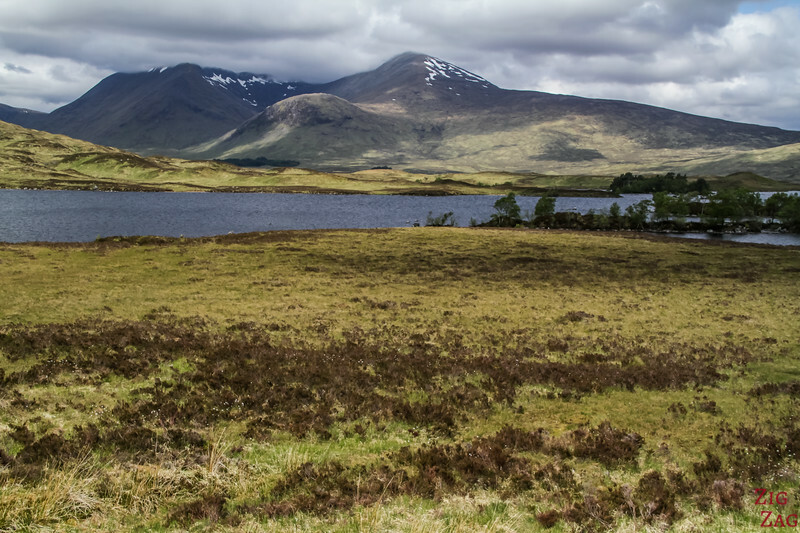 There are many interesting stops along this road with Loch Tulla, Loch Ba, the peaks of Buachaille Etive Mor, Buachaille Etive Beag, the Three Sisters, the Meeting of the 3 waters waterfall and Loch Achtrichtan. Below in this article I detail each of these stops. TToilets available at the Glencoe Ski center and at the Glencoe visitor center. If you can choose your direction, I strongly recommend driving from Glasgow to Fort William rather than in the other direction. 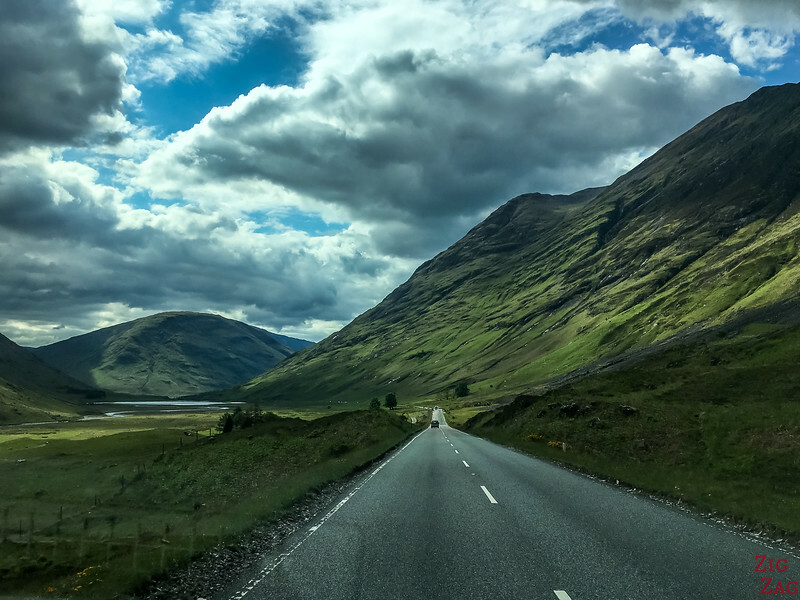 A82 is a fast road as it joins major cities in Scotland. So if you want to stop be careful and do not brake at the last minute!!! And please do not turn around on this road - yes, I have seen it and the car got stuck in the middle of the road where you can drive at 110km/h !!!!!! 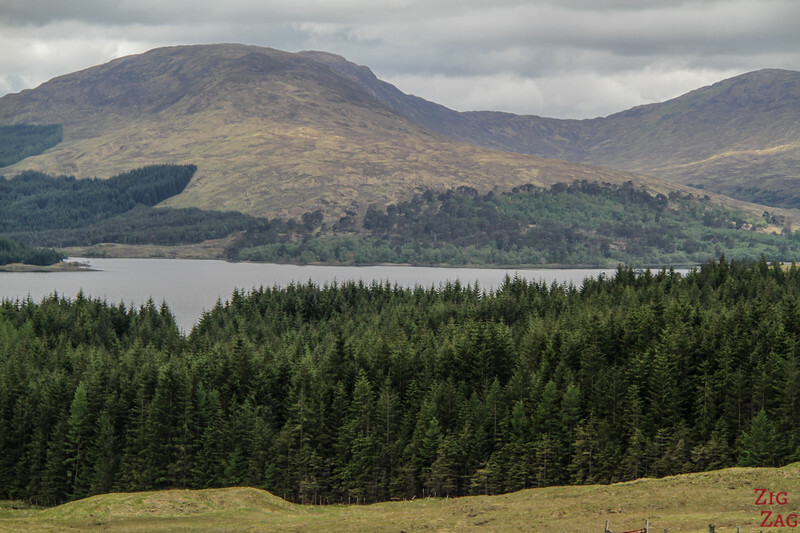 Right after entering the Glen Coe Scotland area, you drive near Loch Tulla. Continue further up in the mountain and you will find a large parking with a viewpoint over this beautiful Loch. 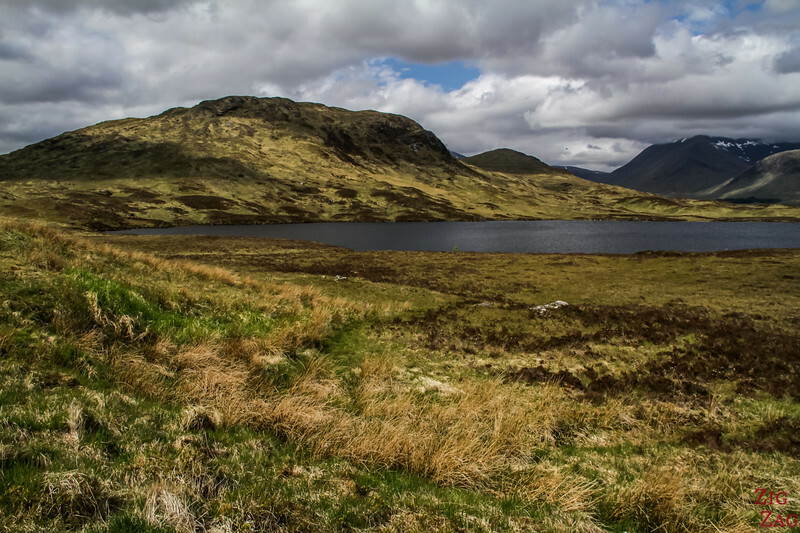 Not long after, you will see a very small loch: Lochan na h-Achlaise. The small hill behind was very photographic I think. It is easy to park. Form there I recommend going for a walk to discover the loch which is spread out and has many small islands. I saw it only from the car and was unable to take any pictures. There is no place to stop further along the road. Then you get closer to the high summits of Glen Coe. 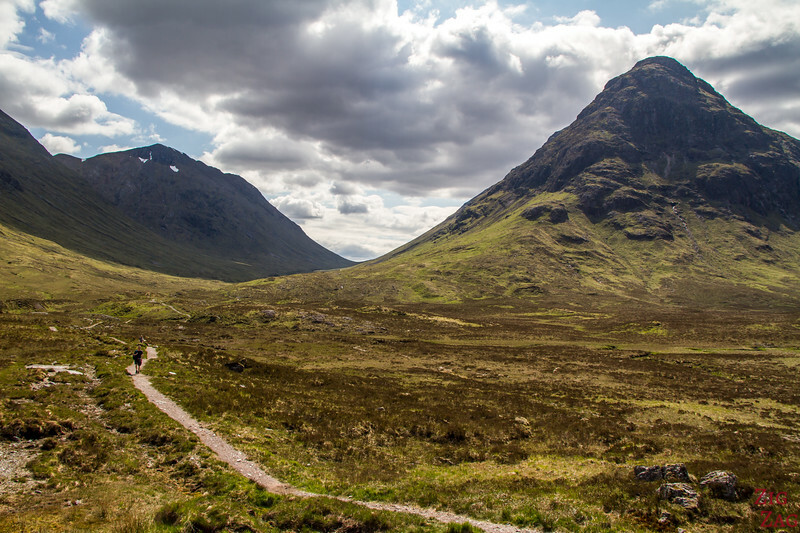 It gets really exciting as you approach the most photographed mountains in Scotland: Buachaille Etive Mor. 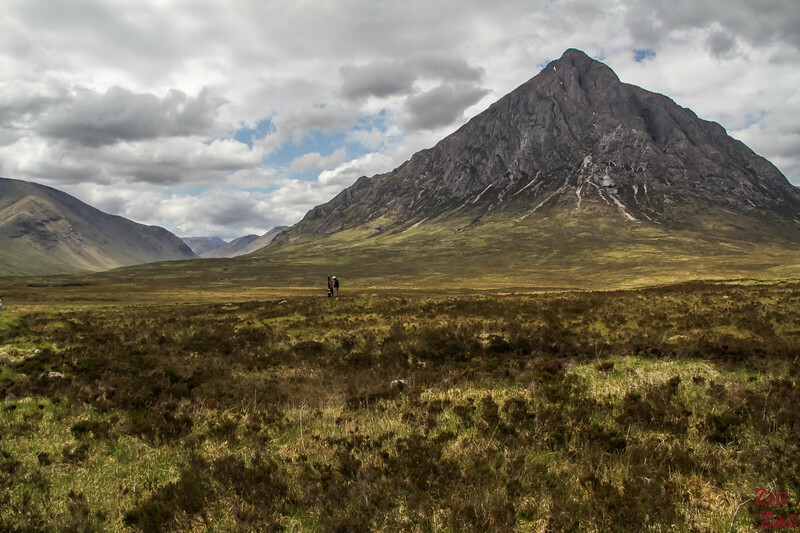 For some of the best locations to photograph it, check out the dedicated article about Buachaille Etive Mor. 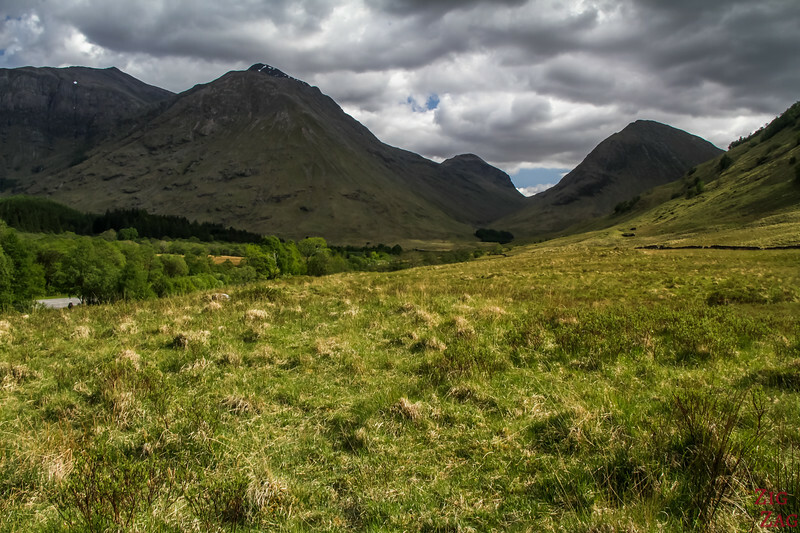 This photo below was taken at the beginning of the side road going through Glen Etive. After driving by Etive Mor you can stop to see it from the other side. There is a parking where you get amazing 360° views of the valley. 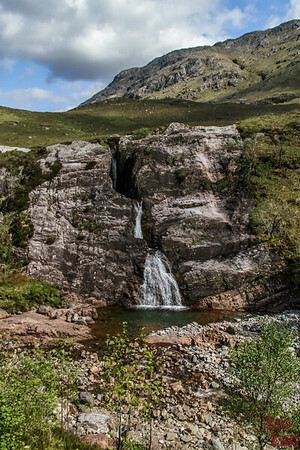 In all my research, I had not seen that there was a waterfall on that road through Glen Coe Scotland. So I was pleasantly surprised when I stopped at the bridge and found out this beautiful 3-section fall. Apparently its name is the Meeting of the Three Waters. 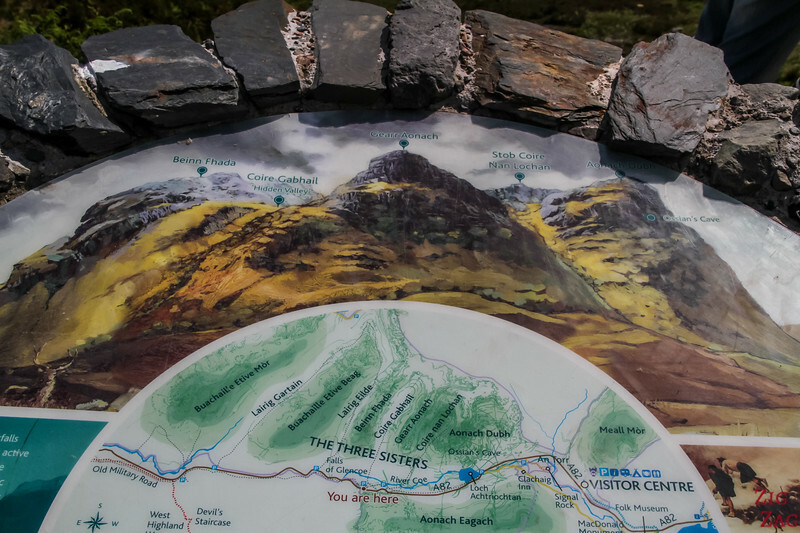 The next time we stopped along Road A82, we discovered the scenery of the Three sisters. There is a large parking and an orientation table. 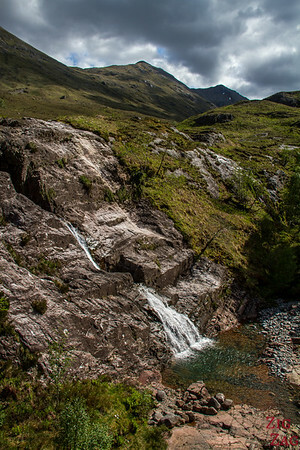 The landscape is a dramatic ridge around the summit of Bidean Nam Bian that culminates at 1148m. 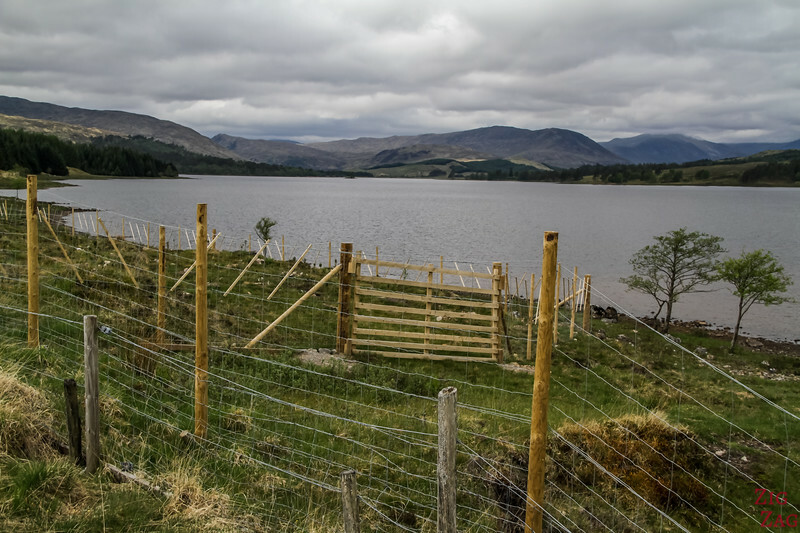 ​Our next stop was Loch Achtriochtan. Surprisingly there was nobody on the parking when the Three Sisters parking was full. Probably because the loch is not indicated just the guesthouse. This is a small loch but the Glen is narrower at this point so the place is scenic. 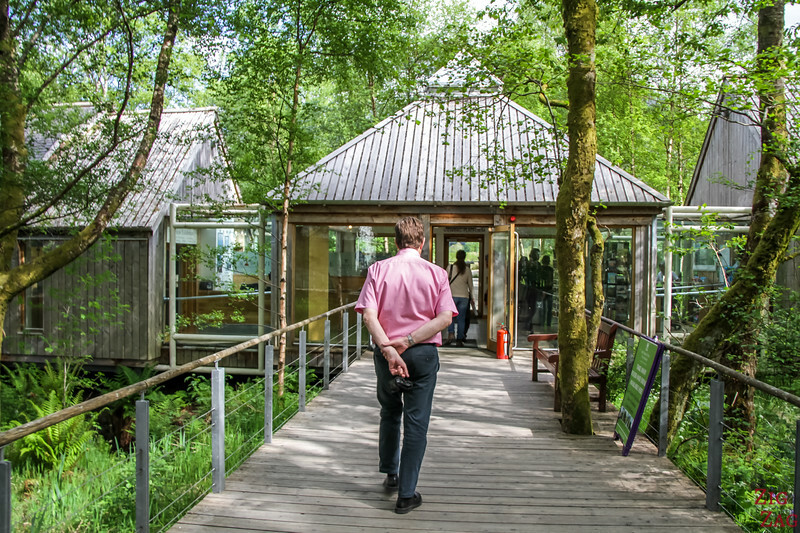 After all those wonderful natural sceneries I was very disappointed by the Glencoe Visitor Center. This is the first time I see an exhibit to explain the region in a visitor center for which you have to pay to enter. Glencoe is a very small town by Loch Leven. It is a great places to stay for the night. 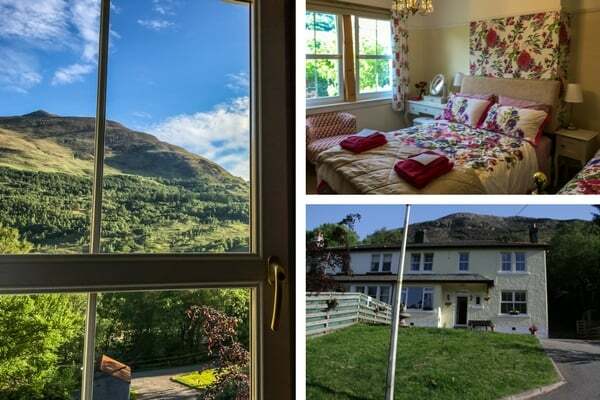 I continued driving around Loch Leven to sleep at Kinlochleven where you can find great accommodations. 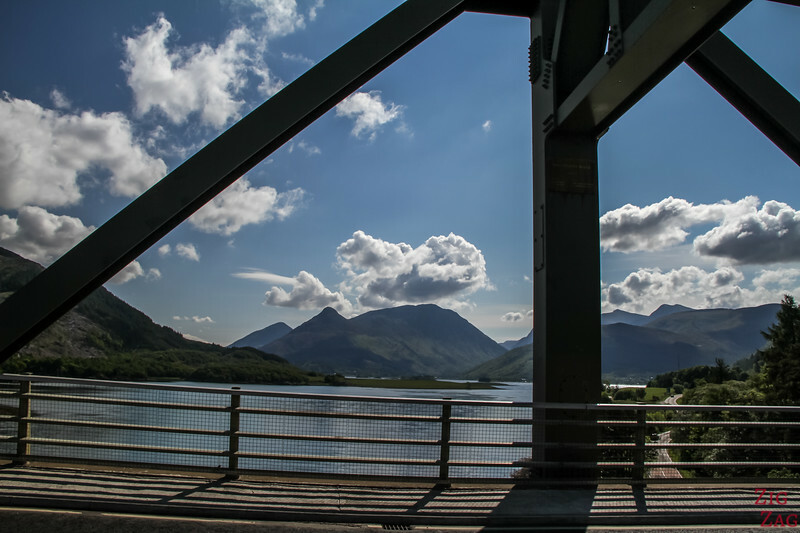 The last portion of A82 that is in the Glen Coe area is the bridge over Loch Leven. 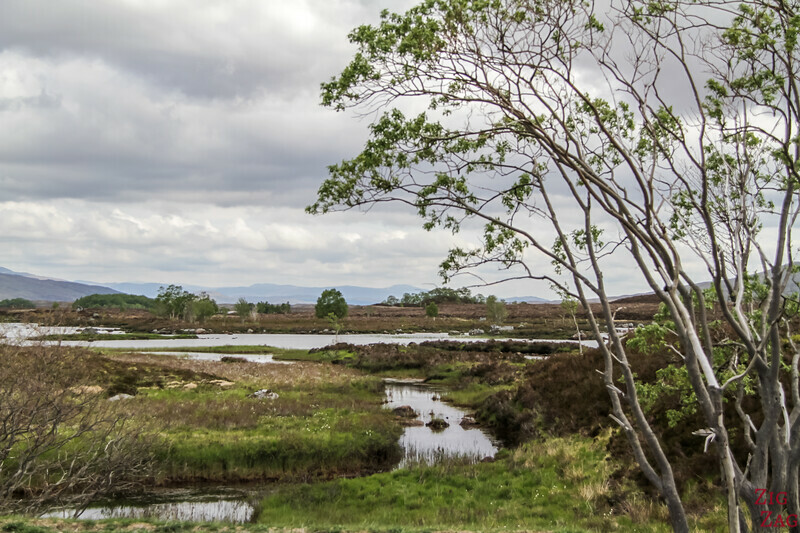 It gives you a glimpse of one of the most scenic lochs in Scotland. If you have time, I strongly recommend driving around it. See my dedicated post about Loch Leven for photos and more info. 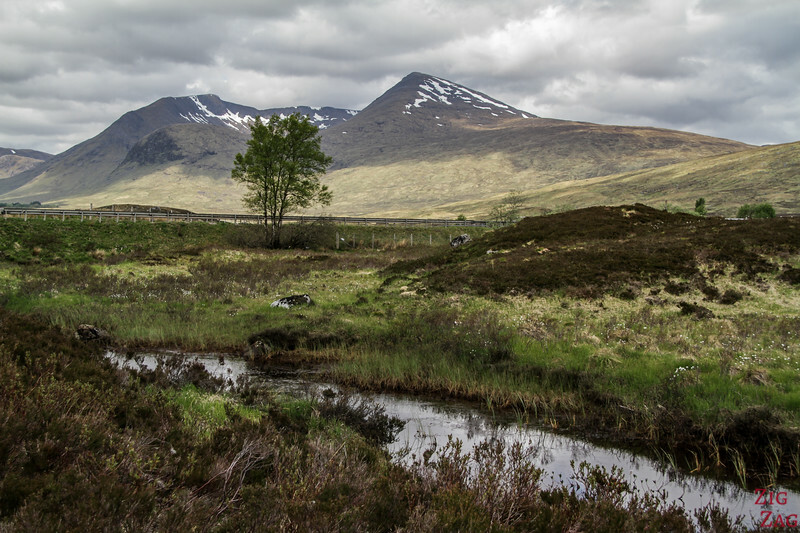 Between the protected area of the Trossachs and Glen Coe, A82 is already scenic. You drive by Ben Dorain that culminates at 1074m. 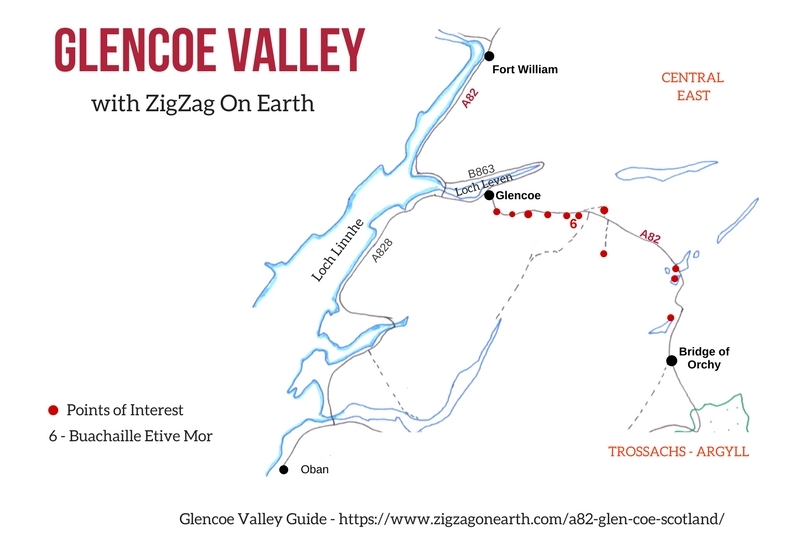 It is not technically in Glen Coe but I thought I would include it. GPS coordinates: N 56°28'31" W 4°43'46" - there is a large area at the entrance of a private track (there are no signs). It enables you to stop on the side without disturbing the traffic. Incredible landscape, don't you think? 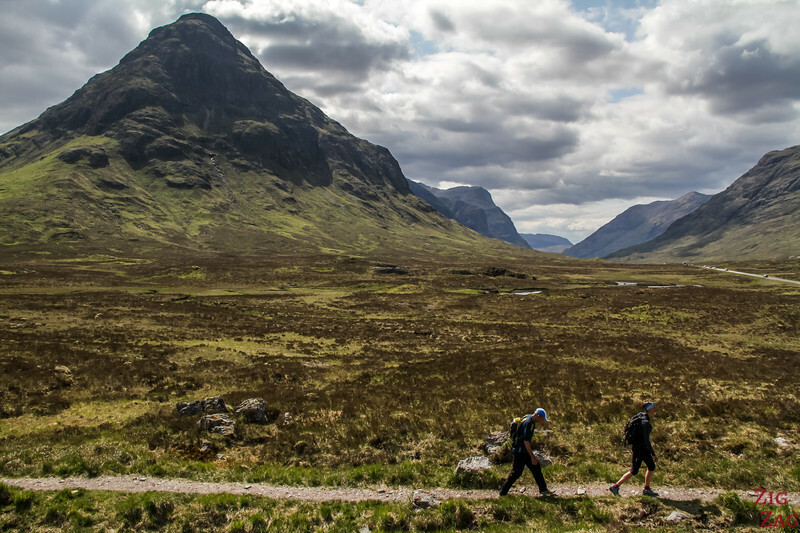 Walking the west highland way this may , so looking forward to it, then staying for a week in Kinlochleven. Thanks for some great points to look for .